The Elite LWM East-West Value Fund has been designed as a core portfolio holding for investors seeking exposure to global equity markets. The objective of the Fund is to outperform major global markets over the longer term, whilst maintaining a comparatively low level of investment risk. The Fund is fully compliant with UCITS III regulation. The value of an investment may go down as well as up and an investor may not get back the full amount invested. Please note that past performance is no guide to future performance. An investment into the Fund may only be made on the basis of the information set out in the prospectus. Any material available is directed only at persons in the UK and is not an offer or invitation to buy or sell shares. 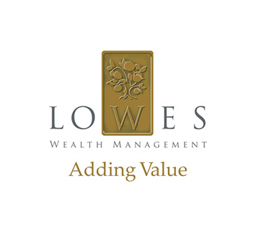 Lowes Wealth Management Consulting Company, Inc. is not able to provide advice on investors' suitability for an investment in this Fund. Opinions expressed on this website represent the views of Lowes Wealth Consulting Company, Inc. at the time of publication. These are subject to change and should not be interpreted as investment advice. The information on this web site is for guidance only and expert financial advice should be sought before making decisions on financial products. A potential investor should read and retain a copy of the relevant Simplified Prospectus prior to making any decision to invest. Both the Simplified Prospectus and Full Prospectus are available from the Download section on this website. The Authorised Corporate Director's Report for the Elite LWM East-West Value Fund is available free of charge by request from the Authorised Corporate Director.